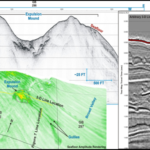 GEMS’ roots are in 3-D and 2-D high-resolution seismic data interpretation and the use of the data for conducting geohazards assessments throughout the world’s marine environments. 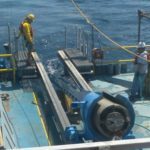 We specialize in an integrated (geophysical and geotechnical) approach to the engineering-of-the-seabed. We work closely with our clients throughout a project, whether it be Concept, Pre-FEED, FEED or Detailed Design phase. GEMS archaeologists assist with survey planning, survey equipment recommendations, survey QA/QC, reporting, mitigation recommendations, and governmental correspondence. 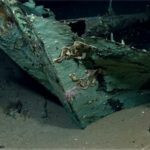 GEMS is a premier consulting company a that specializes in marine geology/geophysics, geotechnical engineering, and marine archaeology. Our expertise lies in the realm of oil and gas exploration and development. We are a company that prides ourselves on proactive communication between management, employees, and clients. Our services range from highly detailed integrated geologic and engineering studies for regional or site-specific purposes to providing QA/QC for data acquisition endeavors . We assist with permits and applications to governing and insuring agencies. We design and implement coring, lab, and survey programs in addition to analysis and interpretation. GEMS integrates the sciences of geology, geotechnics, and marine archaeology to master the art of seafloor engineering.